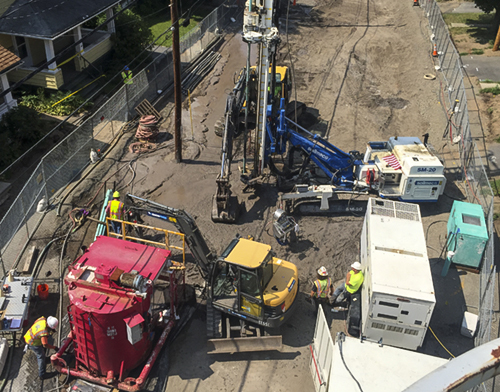 Jet grouting is a cross between soil mixing and grouting in which an ultra-high pressure (~6,000 psi) fluid stream of grout is used to erode and mix the soils. The grout used in jet grouting is often a suspension of Portland cement in water. 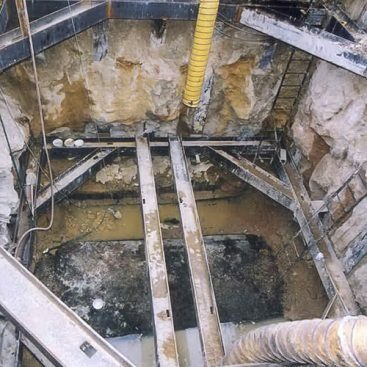 Jet grouting can be performed using one fluid (single fluid or single phase), two fluids (double fluid or two phase), or three fluids (triple fluid or three phase). The fluid in single fluid jet grouting is generally the Portland cement and water grout. The fluids in double fluid jet grouting are generally grout and water. 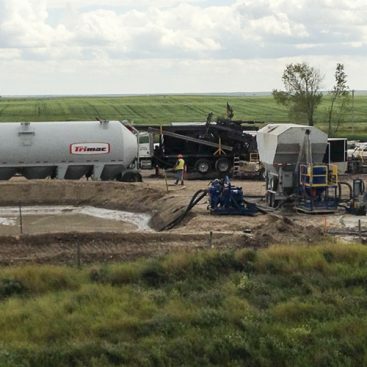 The fluids in triple fluid jet grouting are generally grout, water, and air. Single fluid jet grouting is the simplest and most common technique applied. 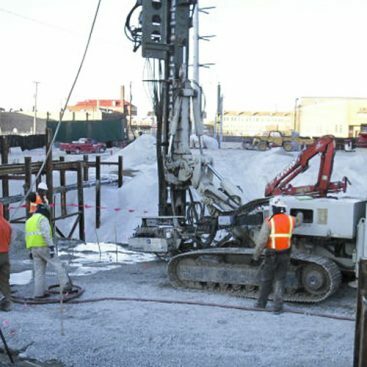 Double and triple fluid jet grouting is used to achieve site objectives in difficult soil strata or to achieve larger than normal jet grout column diameters (>5’). 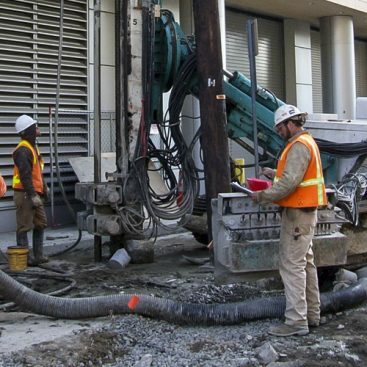 In all types of jet grouting, the grout and other fluids, if applicable, are fed through the drill stem by a specialized high pressure pump called a jet pump. The fluid coming out of the jet pump is pushed through a rotating drill pipe and forced out laterally through small jet ports at the bottom of the drill pipe. 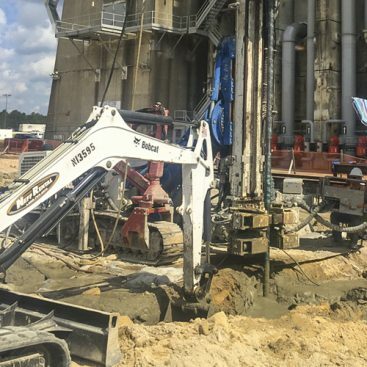 Jet grout columns are typically formed from the bottom up. 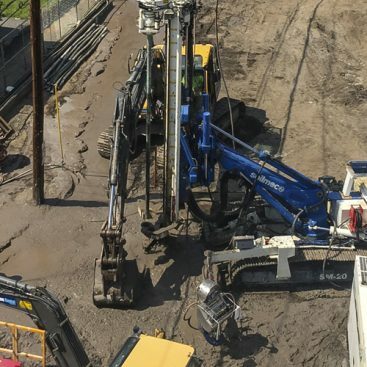 Jet Grouting is commonly used in conjunction with Soil Mixing or Slurry Trenching to complete a continuous barrier or soil-mixed monolith in areas with difficult or limited surface access, subsurface obstructions, or sensitive utility locations. 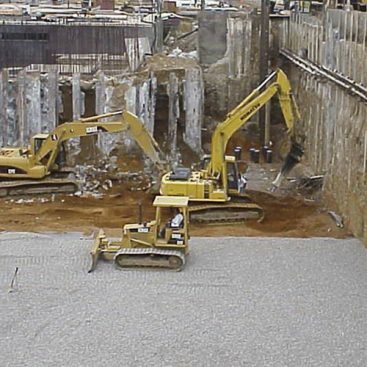 Jet Grouting is also particularly effective in structural underpinning and foundation rehabilitation. 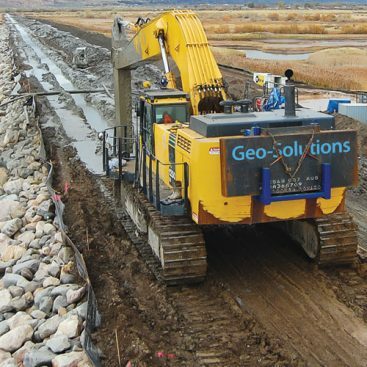 Geo-Solutions has been engaged in the use of jet grouting for solving geotechnical or environmental construction problems for decades, specifically in the application of jet grouting on environmental sites to supplement other construction techniques.